Hailey is in year round school, so we did the whole school shopping like two weeks ago. Here’s an easy Crayola Gift Guide I made the other week. It’s crazy how fast summer went by, it didn’t help that I worked 95% of the time. With that said, here’s 10 pretty epic back to school gift guide ideas for making shopping for educational tools and school supplies a lot easier. FreckleBox: Personalized gifts for kids- They have everything from personalized lunch boxes, stickers & notebooks to make the kid’s first day back to school that more special. All manufacturing is done in the good old USA. The production of your personalized gifts begin moments after you complete your order and is completed within 48 hours. You select the shipping. All Frecklebox products are printed on state-of-the-art digital printing systems. The highest quality materials are used to create gifts that last. Shop Frecklebox’s back to school section. FunBites is super sturdy and durable curved blade cutter cuts any kids’ food into bite-sized fun shapes. We make food so much fun that even the pickiest eaters can’t resist! FUNBITES works on kid-friendly food from pancakes, sandwiches, fruit, veggies, brownies and more! Move over junk food! Let’s make healthy food more fun. Maybe you have a child like ours or maybe you simply want to add a little more creative fun and simplicity to your kitchen. We hope FUNBITES makes your mealtime less stressful, gets your kids try new things and eat healthier. FunBites – We make food fun! They’re $9.99 each & you get FREE SHIPPING when you order more than 3 at a time. My First Daily Magnetic Calendar from Melisa & Doug. 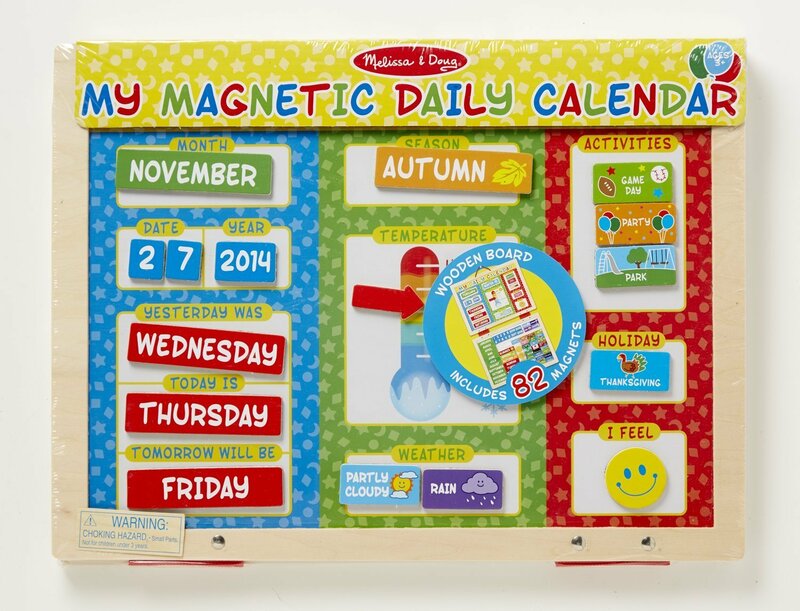 Kids will be excited to greet each new day with this magnetic daily calendar! Two magnetic wood-framed boards, measuring 15.5-inch x 11.75-inch each, are connected with fabric hinges and hang from a sturdy attached cord. Store the more than 80 pre-printed magnets on the bottom board, and move the appropriate ones to the top calendar template to indicate the month, date, and day of week, as well as the season, temperature, weather, and scheduled activities. PackIt is the smartest, simplest way to keep food and drinks cool anywhere. Our bags work just like a refrigerator on the go, continually chilling your food and drinks for up to 10 hours. The secret is in the cooler’s freezable gel liner. Simply store the entire bag in the freezer overnight. Once the bag is frozen, its walls generate waves of cold air that chill your food and drinks from all sides. 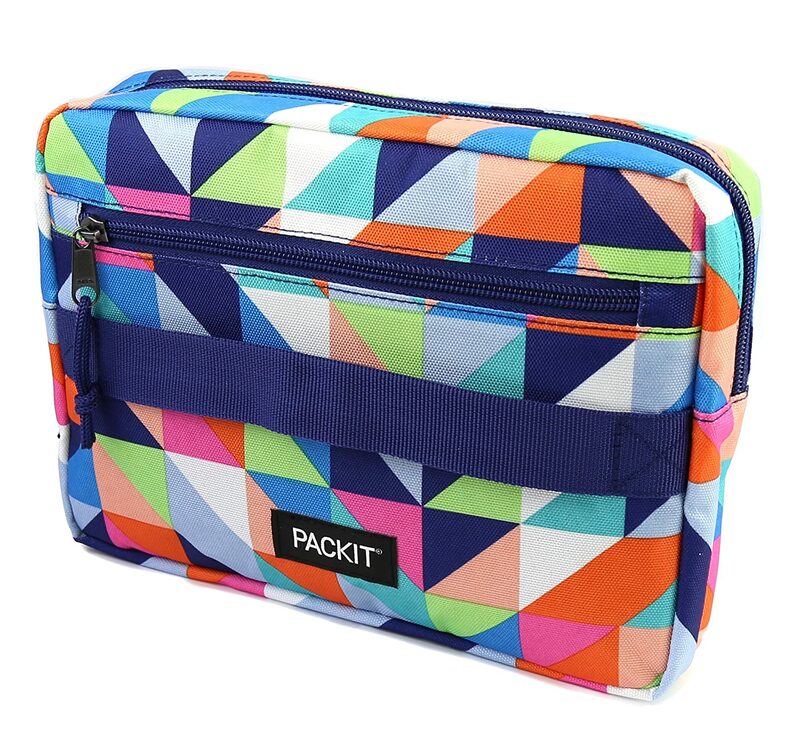 PackIt’s patented built-in technology keeps items cool all day without ever needing ice packs. It’s so powerful that it can even drop the temperature of liquids 25 degrees within the first hour. That’s right—it actually makes room-temperature items cold. PackIt’s cooling power is so long-lasting that you can safely bring home leftovers in our cooler bag, reducing waste and saving you money—a win-win! Purchase here. 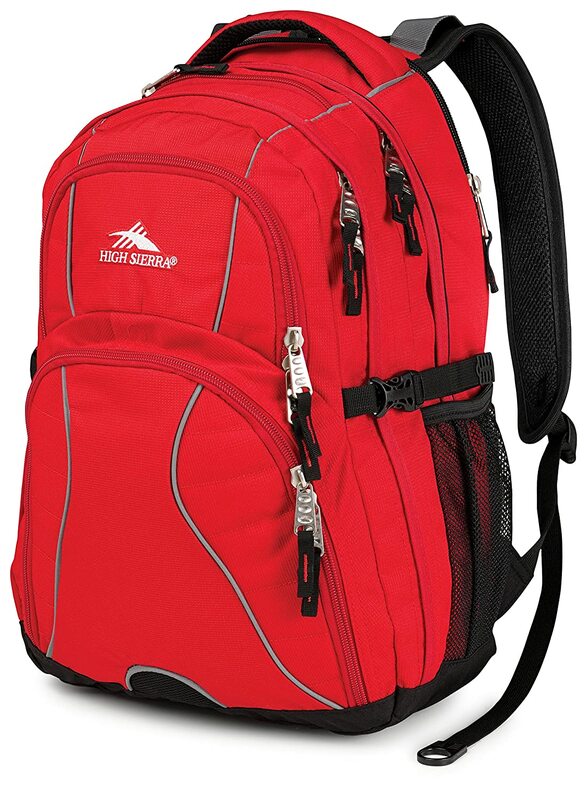 High Sierra – The High Sierra Swerve is a stylish backpack that has every feature needed for work and play. The Swerve is a large capacity pack with storage solutions perfect for all of your gear. The large main compartment has two way entry with a laptop and tablet sleeve. The dual access to the digital gear makes getting to them easy without disturbing other contents. The AIRFLOW back panel, side compressions straps and Suspension System shoulder straps make carrying heavier loads feel lighter and more comfortable. Paper Mate – Writing Essentials Kit: Whether you’re getting ready for back to school or equipping the home office, this kit has everything you need to write, erase, annotate, highlight and mark on whiteboards. 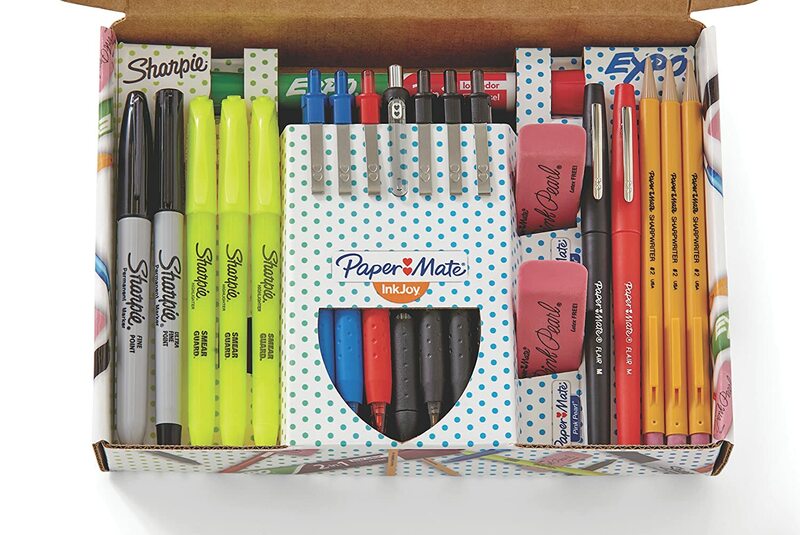 The stress-free way to shop, you receive bold and brave Sharpie permanent markers, high-contrast Sharpie highlighters, a dual-ended EXPO 2-in-1 dry erase marker, reliable Paper Mate mechanical pencils and erasers, plus an all-you-can-write assortment of Paper Mate ballpoint, gel and felt tip pens. Purchase here. Mr. Sketch Scented Markers: Colors are bright and vivid. Mr. Sketch markers have twice the ink of most markers to last super-long. The smooth-flowing bevel-tip makes sketching easier. The tip is sturdy to keep its shape even after months of coloring. The specially formulated, non-bleeding water-based ink is great for easels. It’s safe for children and certified AP non-toxic. Each color has its own fun scent to feed your imagination. These are a childhood favorite! Purchase here. What’s your favorite item for back to school? My niece loves Mr. 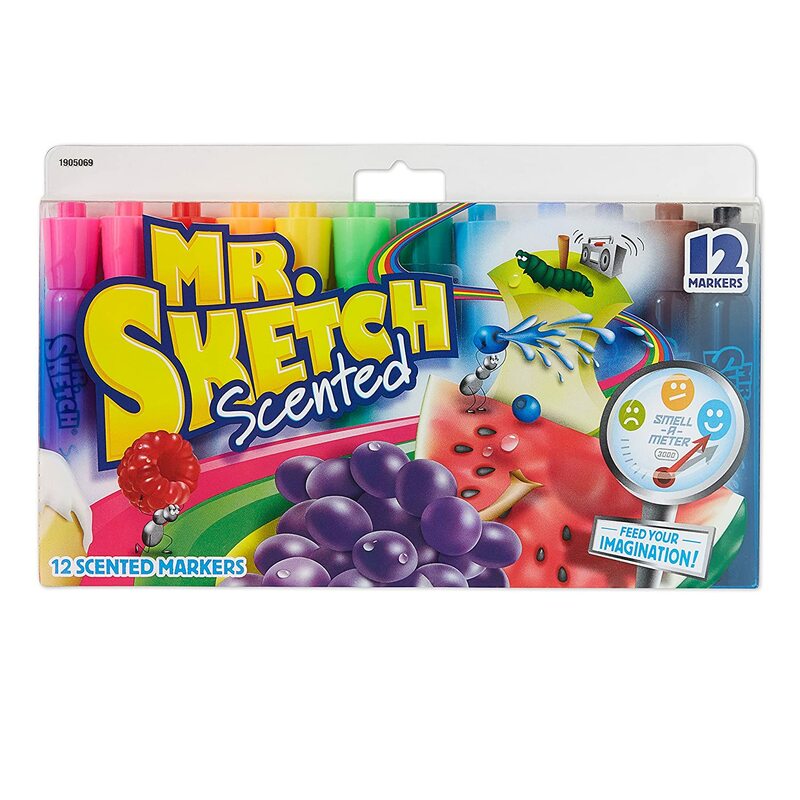 Sketch Scented Markers! This would be a perfect idea for a Niece of mine! I like that it would be a surprise every month, and teaches so many things! I am going to check out the Pack It item. I think my grandson could use that, since he does take his lunch everyday. Makes me wish I had kids to buy this stuff for. This is a great guide! I really like the lunchbox! So many great items here it would be hard to choose. Wish I could buy them all. Great back to school items. No kids to buy for. Thanks for the contests you do. Sorry I missed this giveaway. There are so many great ideas for back to school it’s hard choosing. The FreckleBox is adorable and a great gift idea! Our school starts on the twenty fifth of September. Such neat, colorful products! They look fun and engaging to me, and designed to get kids really ready to learn.